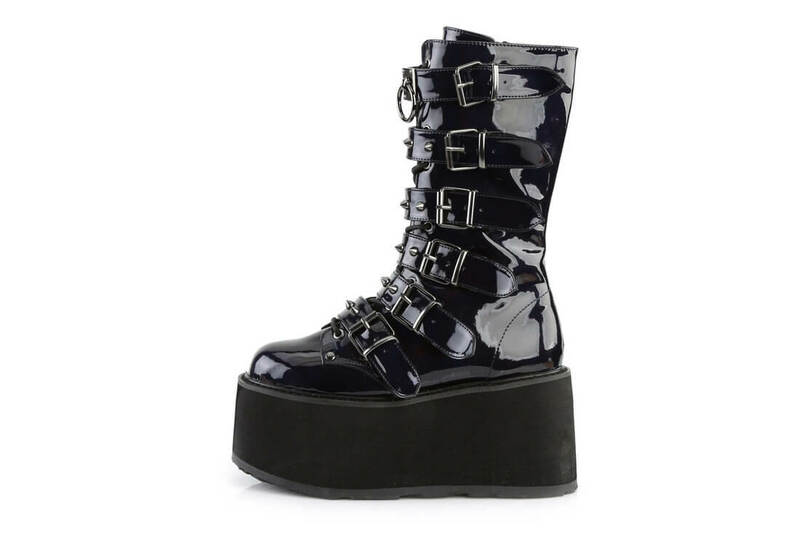 How cool are these black hologram platform boots! 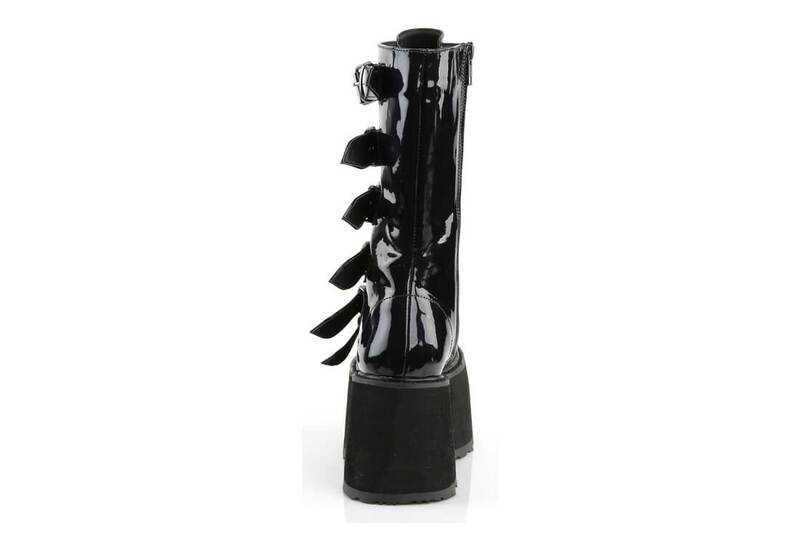 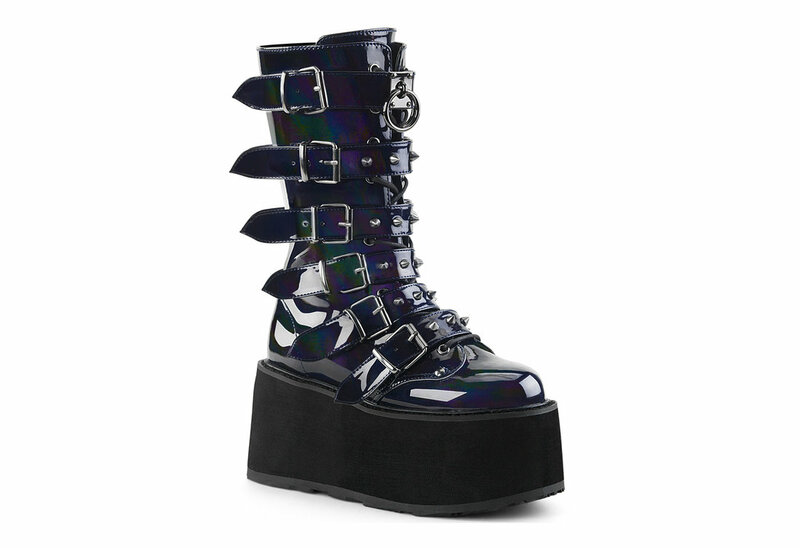 The Damned-225 Hologram boots have six buckle strap with spikes up the front. 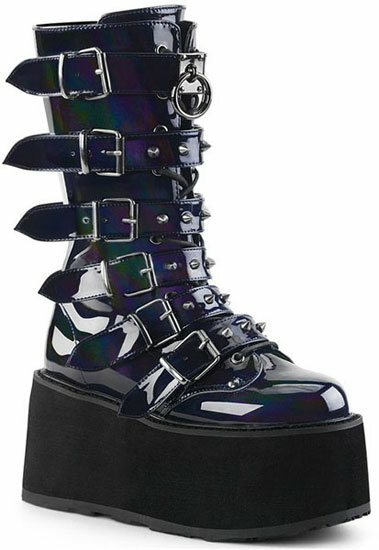 The top strap has a single chromed ring. 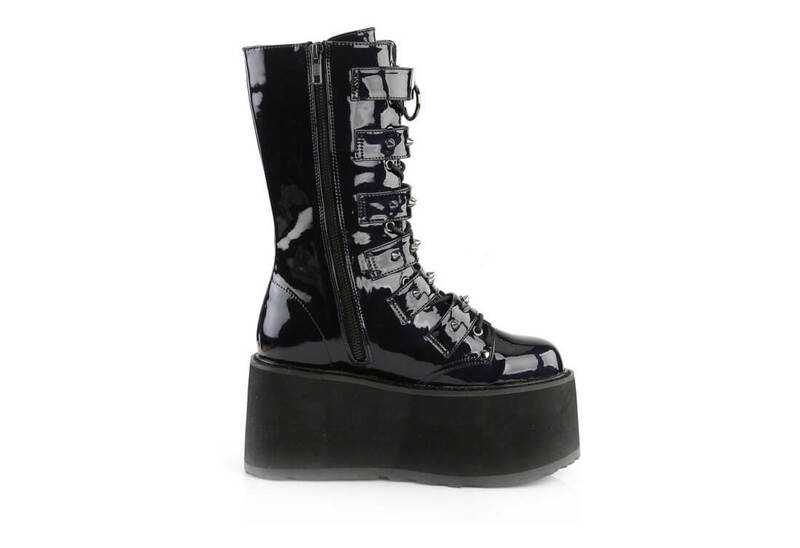 The platform, made from a dense light weight foam measures 3 1/2 inches tall. 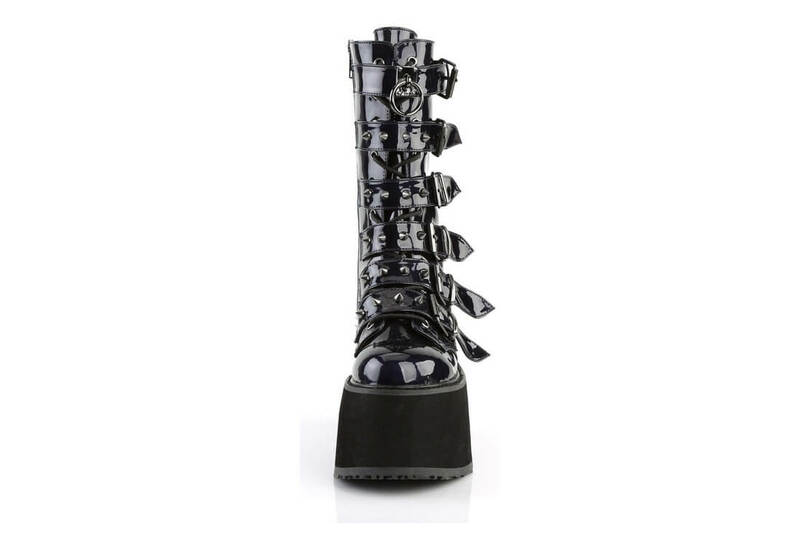 Defiantly a unique pair of boots.